The timber from Crab Apple trees has a uniform texture and is perfect for woodworking if dried slowly. 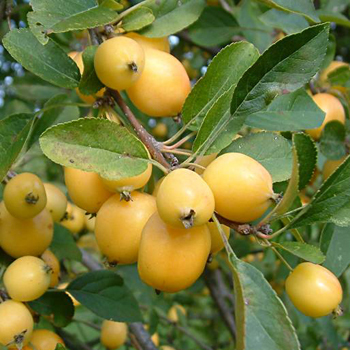 The fruits are excellent for making crab apple jelly and are even used for making wine. Traditional folklore tales mention that Malus trees also have romantic properties and can determine if a love is true. Throw the apple seeds into a fire whilst saying the name of you love, if they explode the love will last.